Puffed Heart-Tag Toggle Necklace in 14K White Gold . 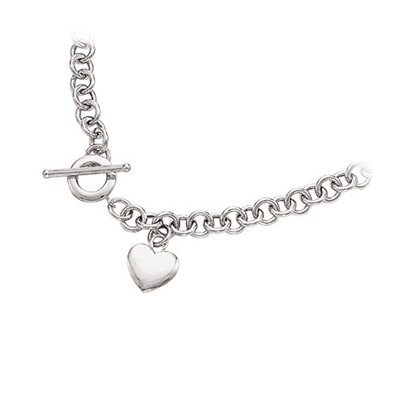 This chic designer puffed heart-tag necklace is designed in 14K White Gold. It features a decorative toggle closure. A contemporary necklace to match your style.